I've been playing League of Legends off and on since around the Season 2 era, and I've witnessed a lot of changes to champions, gamemodes, items, and the whole lot of it. I've seen teams rise to fame and many world championship moments, I've also seen a lot of controversy and a lot of losses alongside this. To me, League of Legends was always one of those games where I've found both enjoyment and a hatred for. It is a game I keep coming back to, to play with friends and rise through the ladder in playing the newest champions or just revisit old ones. Each new patch brings about changes, some good, some bad, and the meta is constantly evolving too. One season they want us to ward more, the next they want us to ward less. They want more vision, but limit it because it's too strong. Generally this is how it works: There are three lanes that are taken up by people playing in a 5v5 fashion against each other. The top lane is a solo lane that is usually reserved for characters like tanks (those who can take a lot of damage), and those with high sustain (can last a long time in team fights). Mid lane is also a solo lane, where it is one that I like to play, that plays assassin based characters (those who can do a lot of damage to a single target) and the like (at least with this meta). Bottom lane, or just Bot, is a duo lane, where there are two people, ADCs and Supports. ADC used to be just "Attack Damage Carry", but now referred to as marksmen, they are the ones that deal significant damage to people and are to be protected and "fed" to become stronger to work in team fights, where Supports literally "support" their ADC and their team as a whole. 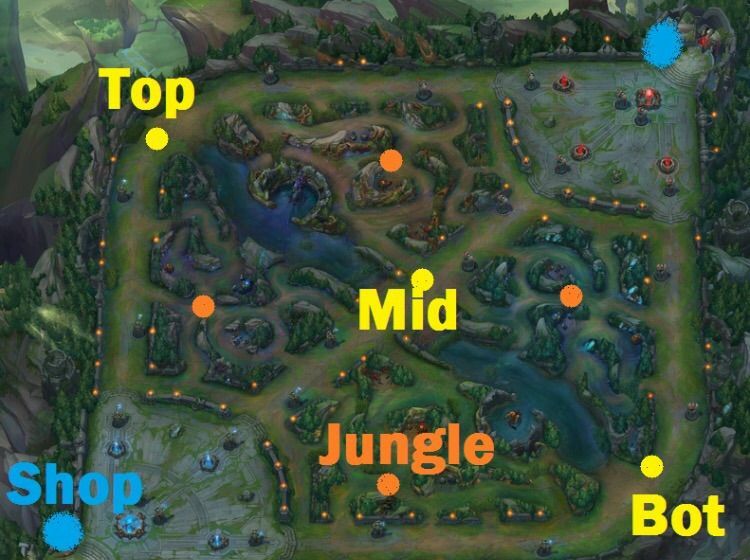 Jungle is not exactly a lane but it is where the last person goes to roam around the map to help lanes out where necessary. This is the general breakdown of the 5 man structure for League. 1 at Top, 1 at Mid, 2 at Bot, and 1 in the Jungle. Kills, Deaths, and Assists are one the biggest thing that attribute to gold gain or loss in the game, and the more gold you have, the more items you can buy early on to start to beat the other people in your lane. If you get lots of kills, you get a lot of money to start with and you can start to dominate because the items give bonuses that are absolutely crucial towards the win. So with all of this in mind, here is why I have a Love/Hate relationship with League of Legends. I love this game because it's hyper competitive, and there can be a lot of skill intertwined with this as well. It feels so good to win your lane, and it feels so good to know that you're a target of the other team because you keep racking up kills and bringing your team to victory. The characters I play the most are very skillshot heavy, such as Lux, Ezreal, or Ahri, and they're just so fun to play because they're strong in mobility (at least for Ahri and Ezreal), and do a lot of damage once I start to get fed. Some days I do good. Some days I do REALLY good. Now you can take it like this: The green line means we won, the red means we lost. Plain and simple. Now the format is laid out like this: Kills/Deaths/Assists, for the area next to the items. Bsaed on the above images, you can assume I did pretty good, but that game I was playing Garen, I had 12 kills, 6 deaths, and 6 assists. Essentially I helped out to secure 18 kills, 12 of which were mine, and only died 6 times in total. And we lost. I did good in the game, where it could be said that I did really good and it could be brought into question in that if I did this good, why did we still lose? Well it was cause of my team that we lost. This isn't to say that my team is horrible or anything, it could be that we weren't playing our best, or that not many decisions were made. Or just in the idea that because one person did well doesn't mean the rest of the team will. League is the type of game where unless you're playing a character that is just so great you can carry, then it wouldn't be much of a problem, but it's heavily team based and everyone needs to pull their weight. And what it comes down to, is if one team loses their lane, or even two lanes, then everything gets very difficult very quickly and then it can lead to a loss. There are numerous games where I could be doing well, winning my lane indefinitely, but then the other lanes are losing and then we don't have the power to keep up with them further on. It's wrong to say that I exactly "Hate" League because of this, but it becomes aggravating very quickly. I find myself going on tilt quickly because I just can't fathom why I would keep getting paired up on a team that can't carry their own weight, but at the same point it can be very understandable on how this would all go down. Everyone has a different skill level, and not everyone is as good at the game as the next. Someone could be brand new to the game, or could have just hit level 30 with not many runes or the like to use. Someone may be just trying out a champion, or maybe it was a match made in hell based on Champion Select. It's a very situational game that can make it very difficult to play with random people, where I like to stick with teams to work on playing this game. You win some, you lose some, and League is still one of those games I like, but also dislike because of situations like those above. It gives me a great feeling, and in the end, I like to think of it in the sense that I played my best and these are the results. Sometimes I'm the one who isn't doing so great, but that's okay sometimes. It's still an enjoyable game, and I think I'll be playing some more tonight as well. Just remember to give some thought that the other people on your team are human too, and everyone makes mistakes. Sometimes they can be having an off day, or maybe they're just having a bad matchup. There's a lot of things we need to work on as a community, and if we band together, we can make sure that teamwork will make the dream work. Unless you're my friend John, who never visits my lane to help gank when I'm pinging for assistance.